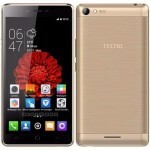 Tecno’s new android launch was overshadowed by the launch of the LONG-CZ J8 mini smart phone which officially is the smallest smart phone in the world. The question is what is the buzz about the beat the boss J8 phone? Imagine a phone that is smaller than your cigarette lighter and weighs less than your internet modem. Yes that’s the J8 for you or more aptly called the “prisoner’s phone” and the “beat the boss phone” and yes, it does make and receive calls, plus, it also sends messages just like any other phone. It spots a mediate processor and an incredible 0.6’’ OLED display. 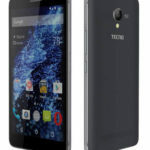 It connects to most GSM systems through the micro sim slot and its talk time is a staggering 5 hours while standby is for about 96 hours. It is funny that a phone that weighs 18g would have all these features and work quite well. Also, this phone can be used as a Bluetooth headset and it is actually compatible with a wide array of phones and tablets and it aids multi-tasking as you can easily hang it on your neck while doing other things. It has a noise cancellation capability which makes it very suitable as a microphone. 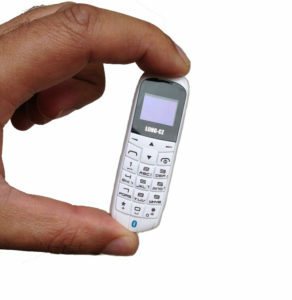 The keypad of the J8 works well and since 99.9% of the phone is plastic, it is durable and can store up to 500 contacts which is quite impressive considering the phone’s miniature look. It has a USB jack for charging and connecting to your computer and the best part of all this is that it is very affordable. Most reviews that have been posted on the LONG-CZ J8 have been on the positive side, and it is as if there are no errors or problems on the part of the phone, but I would like to disagree with that. First and foremost, the size makes it look like a plaything and an average baby or dog would be inclined to take it as a toy. Then that Chinese problem with quality control comes up where you may end up buying a new J8 with flaws. That notwithstanding, it is a special and fresh phone to have when you want to make a statement. All-in-all, the J8 mobile device is indeed an excellent innovation in terms of size and capability. If you have a thing for small phones, you should give it a try. 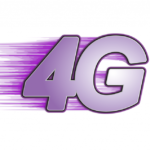 Looking For 4G Phones With Mid Range Prices?